CHIN 104 Lecture 1: CHIN 103. 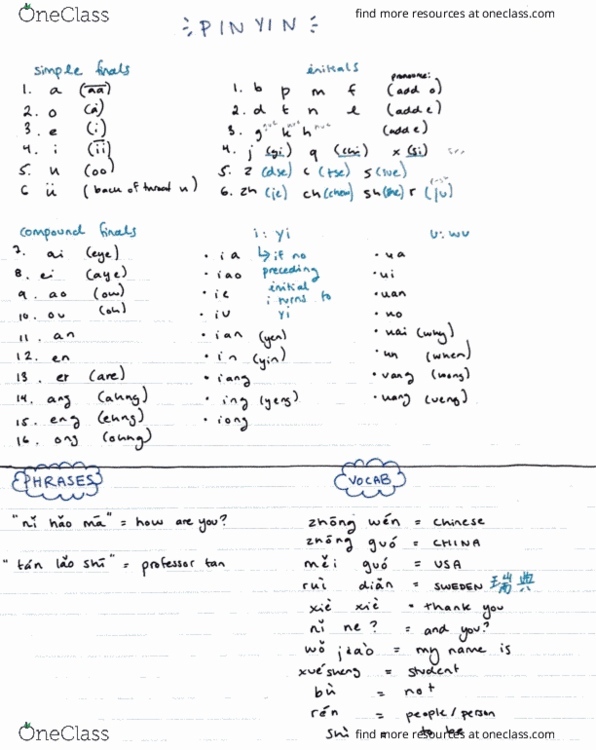 Includes lectures 1-9: reading pinyin, basic Chinese phrases and emergency phrases, basic Chinese grammar. Beginner Chinese class first 3 weeks. We are currently building a library of Class Notes for courses at Sewanee - The University of the South. Request and we’ll let you know once it’s available.